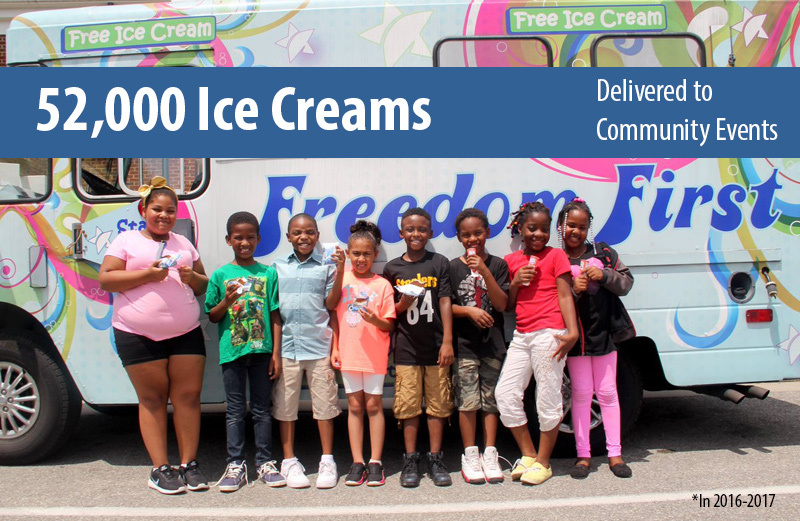 For the past several years, Freedom First has brought free ice cream to community events all over Roanoke and the NRV with our ice cream truck, Scoop. We will be introducing our new Scoop ice cream truck for the 2019 Summer Season, so we are unable to accept reservations for Scoop prior to May 15th. Thank you! Please note that Scoop is in very high demand, so we will do our best to fulfill requests, but we may not be able to attend your event. Please submit requests no later than 72 hours before your event. If you need to cancel, please contact us no later than 24 hours before your event. Scoop's availability will depend on a number of factors, including the availability of our drivers. 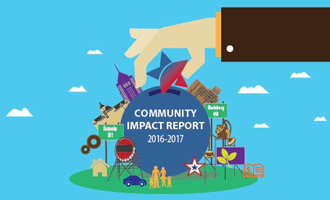 Our Community Impact Report highlights our initiatives and successes pertaining to our mission, Helping People Prosper -Helping Communities Thrive. Get paid up to 2 days early with Direct Deposit! Giving Back to the Community One Scoop at a Time.